If you’re looking for fun and adventure, you’ll find it dating the Aries woman. As the first sign in the zodiac, she is a leader who is bold, brash and extremely competitive. So make sure you keep up your energy because she’s looking for someone to keep up with her! Here are a few dating tips for improving your love compatibility with the Aries female. The best way to grab the attention of an Aries woman is to match her flirtatious nature. She loves to play little mind games and test the person she’s talking to, and if you pass you’ll get to move on to the next level. But don’t expect to reach that goal too quickly, for she wants to check you out a bit more. 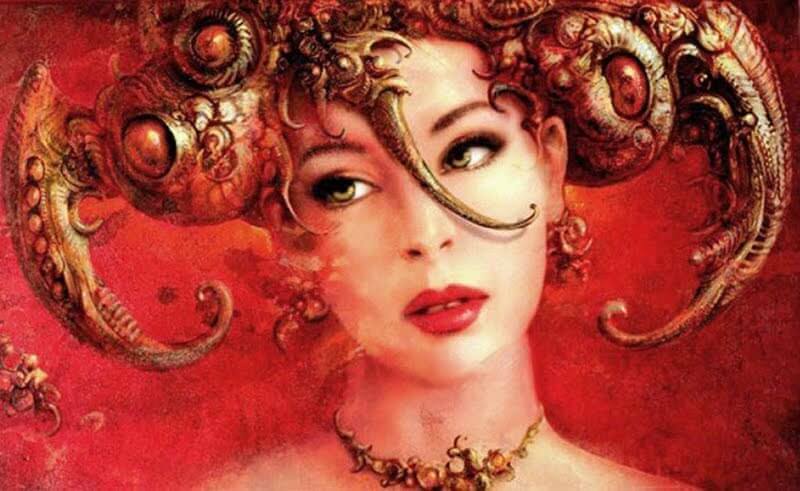 The Aries female is quick witted and self-assured, so be sure to approach her confidently. She also tends to be a bit egocentric, so the way to her heart is to talk about her. Ask about her job, her interests, her passions, and she’ll adore you for it. And if you can come up with creative date ideas, or at the very least are willing to go on hers, that’s a plus in her book. Anything that involves a lot of activity, such as playing sports or rock climbing, will catch her attention. And if you’re lucky enough, or at least interesting enough, you will get to experience more creative and exciting dates with the woman of this zodiac sign, because she’s full of fun ideas. And don’t wait for things to slow down either. If you can’t keep pace with her on simple dates then you won’t be able to deal with her busy lifestyle if you become a part of it and a breakup is inevitable. The Aries girl doesn’t have time to stop and smell the roses you’ve given her – in fact, don’t bother with flowers. They are too conventional and boring for her tastes. If you want to lavish her with affection, and she will definitely expect you to, try something more unique and personal. Tickets to see her favorite band or favorite team are a good start, followed by a midnight run through a public fountain. End it with a passionate good night kiss on her front steps and it might turn into an even better evening. And once you make it into her bedroom, watch out! As a fire sign the Aries female is passionate and thrilling and loves to take charge between the sheets. To keep her interested in sexual foreplay, you will have to get creative here, too. Be it fantasy, role play or whatever else you two can come up with, she will always want more of it. Be ready for anything because she will deliver the unexpected. Just because she liked a move or technique one night does not mean she wants that all the time. To her variety is the spice of life and she likes it spicy indeed! Only once the relationship becomes more serious can you finally get into a rhythm with the Aries woman, for she will let you in to her heart and soul once you finally commit to her. She is fiercely loyal and protective of her friends and family, and you will become a part of that equation too. Make sure you get along with those close to her because they are there for a reason. And never try to box her in or tell her what to do, because her quick temper will leave chaos in its wake. Simply be with her, in the moment, and she will love you forever. I am an Aries woman and this is so true right on point …. Great work indeed ..